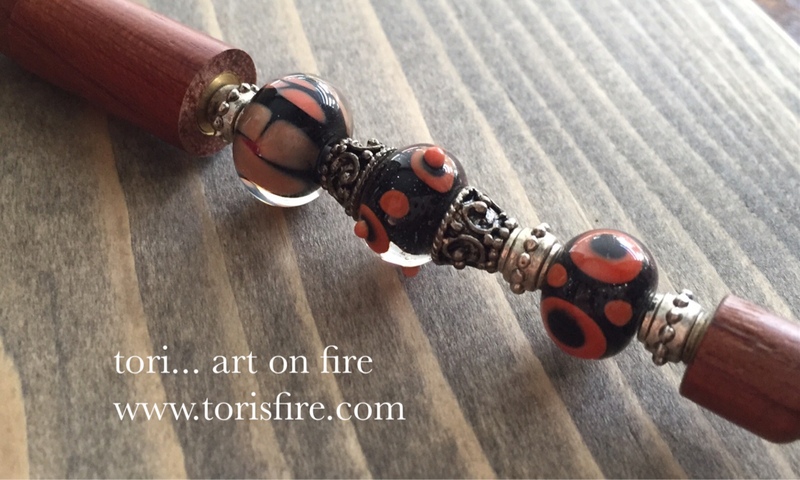 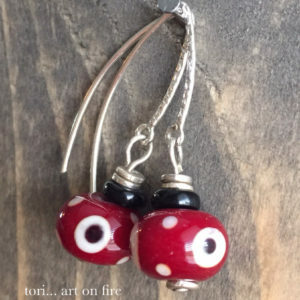 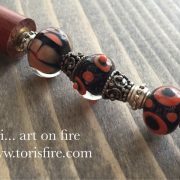 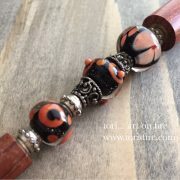 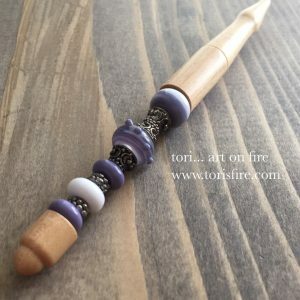 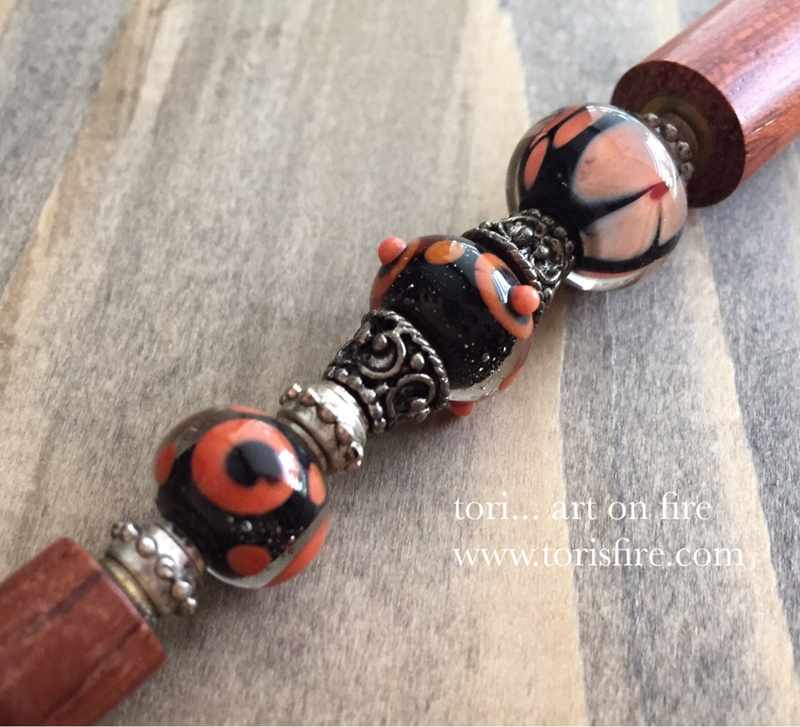 You will be writing in style with this solid wood pen featuring my black and coral lampwork beads. Ink refills are available for this pen. 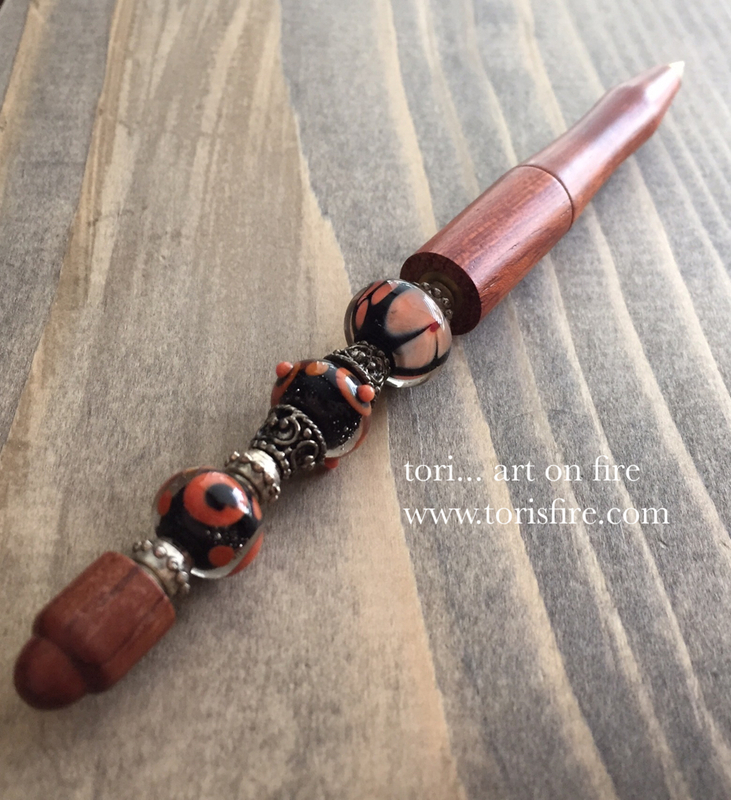 Each pen is one of a kind.